Celebrate the BIG GAME on its 53rd edition with our giant 10" cookie cake! It feeds up to ten, and comes decorated with the NFL's Big Game logo printed over rolled fondant, with 100% edible-ink over the cake. This product is fresh baked and does not include nuts. 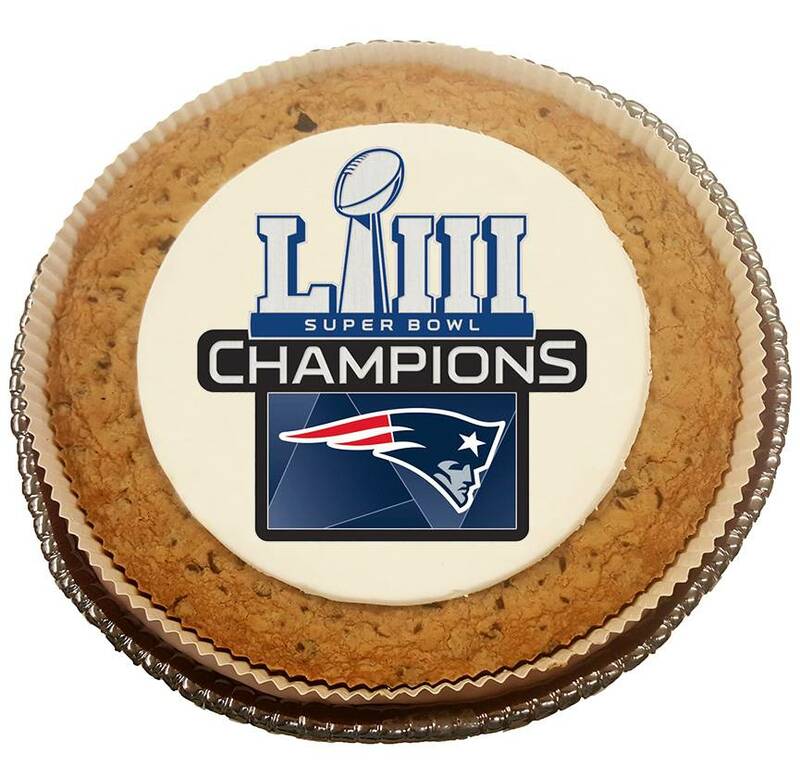 The Large Super Bowl LIII cookie cake is a two pound cookie which is the equivalent to 32 one ounce cookies. So, call all your friends and have a party!! Sports Cookie Cakes are a great gift for sending to a college or to an office for a birthday surprise!